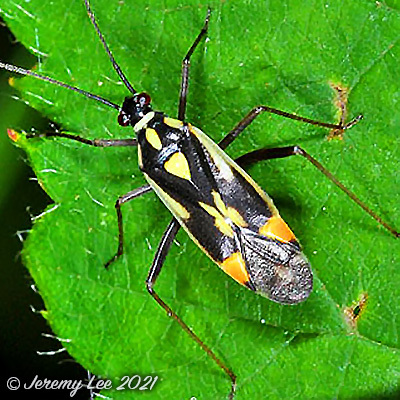 Grypocoris stysi is a member of the large and diverse insect family Miridae, which contains the plant bugs, leaf bugs, and grass bugs, and may also be known as capsid bugs. It is the largest family of true bugs belonging to the suborder Heteroptera, with over 10,000 known species and new ones constantly being described. They are small, terrestrial insects, usually oval-shaped or elongate and measuring less than 12 mm in length. Some are brightly colored, others drab or dark. Some genera are ant mimics at certain stages of life, and most of the more well-known mirids have received attention because they are agricultural pests, piercing plant tissues and feeding on the juices.